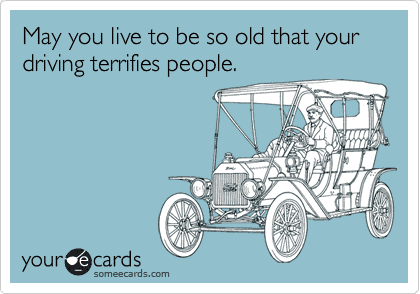 Well, today I turn a ripe old age of 28. Last year was a good one for me and I’m hoping that the next one is even better! Betsy and I aren’t really birthday people but we are going to maybe grab a drink tonight at a fun bar since I happen to turn 28 on a Friday. Then I’m hoping for a nice and relaxing weekend! What I will be doing this weekend though is cooking. Obviously. Ever since we moved I haven’t been getting my normal magazine subscriptions because I didn’t realize that the USPS forwarding service doesn’t apply to magazines. So I finally called all the magazines to change my address and I just got my first Bon Appetit in a few months. It looks awesome, so let’s make something from that! Happy Birthday Nick! Have a great weekend!!! Happy Birthday Nick! Make sure that wife gets you drunk! Happy Birthday! I'll be 28 this year too. Man, we're getting old! Happy birthday to you today and happy birthday to me tomorrow! Hope you have a great one! happy birthday. Loved the card – that is my aim and I must be getting close- ask Betsy. Nothing better (well almost) than a Birthday weekend. Everywhere you go ….."It's My Birthday" 3 days of free desserts. ………. "senior citizens should be allowed to drive their age….if you're 80 – go 80mph….they have less time left to get where ever they're going"
Congrats Nick, hope you have a great year! Thanks for the bday wishes everyone! happy birthday, Nick. I'm so glad you started this blog. I follow several foodies, but yours is my favorite! Consistantly good recipies. My husband and I really enjoy your blog! Hope you had a fantastic Birthday, and that you did lots of fun stuff this weekend.